On this Sunday we remember the day Jesus made His Triumphal Entry into Jerusalem, one week before his resurrection. When Christ arrived on a donkey’s colt, the people hailed His coming, crying “Hosanna!” They laid down palm branches and their clothes as Jesus rode through the city to the temple. Special Music with Mary Ives-Garcia and Jake Garcia from the Harvest Worship Team. Join us on Good Friday evening as we gather to worship and remember what Christ did for us on the cross. Come early for a FREE BBQ Dinner from 5:45 pm to 6:45 pm. *NOTE: For this service only, will be meeting at 4055 Oceanside Blvd, Ste. P, in Oceanside. (Just a half block away from our usual meeting location). 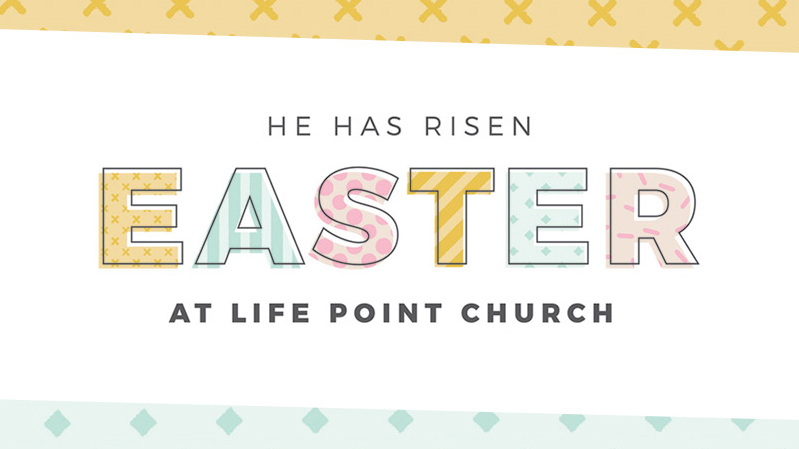 You are invited to join us for Easter Sunday at Life Point as we gather to worship and remember what Jesus Christ did for us. Let's rejoice together as we remember the sacrifice Christ made for us and celebrate the hope and joy that we have because of His resurrection!